Brighten Your Day with Pure Earth! 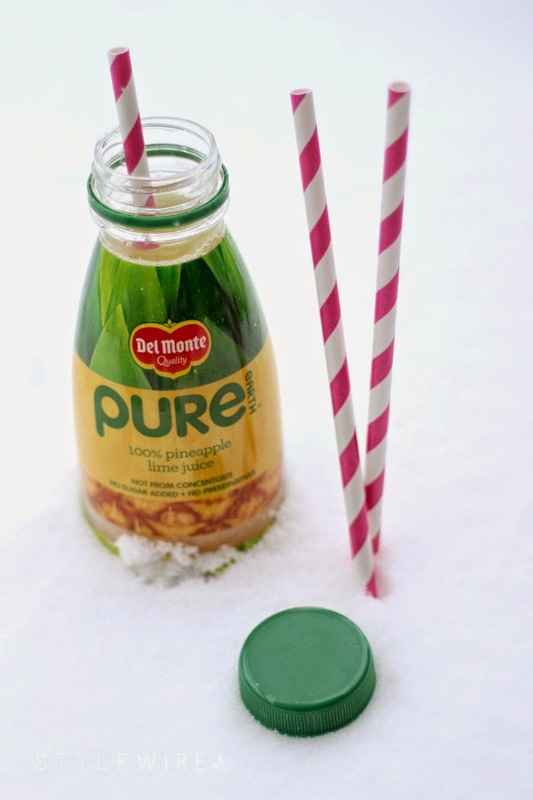 As New England continues to be pummeled with snow, I've found my escape in Del Monte Pure Earth Pineapple juice. 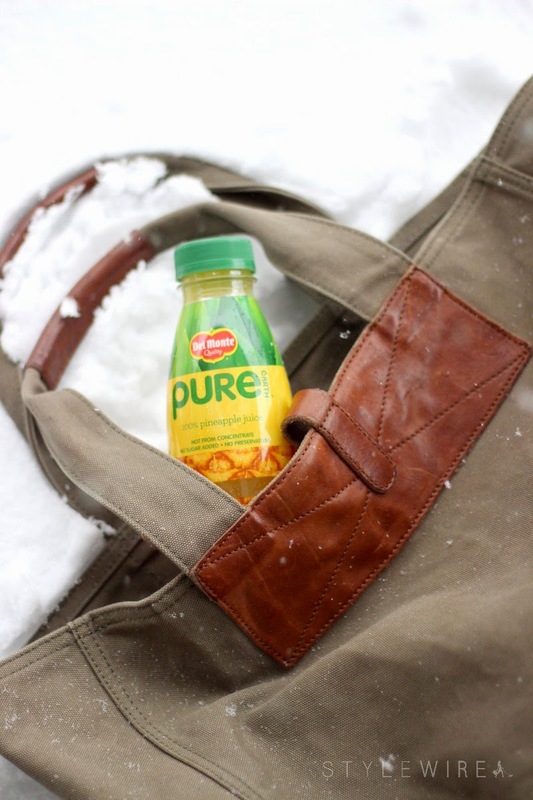 Whether it's first thing in the morning with breakfast as the snow is falling or during a particularly trying commute, Pure Earth keeps me smiling and thinking Costa Rican pineapples and sunshine instead of snow and windchill. Available in four yummy flavors, it's a nice way to punch up a boring lunch or enjoy on the go. It's also great for adding to cocktails, smoothies, and other fresh juices. I recently bought a juicer and the 100% pure pineapple is great for sweetening up rich veggie juices while pineapples aren't in season. Lately I've been taking my Pure Earth Juice to work to enjoy on my 10 minute breaks. It's a delicious way to recharge without running out for another coffee or sugary drink from the food court. If you're interested in trying Pure Earth Pineapple Juice for yourself be sure to use the $1 off coupon below! 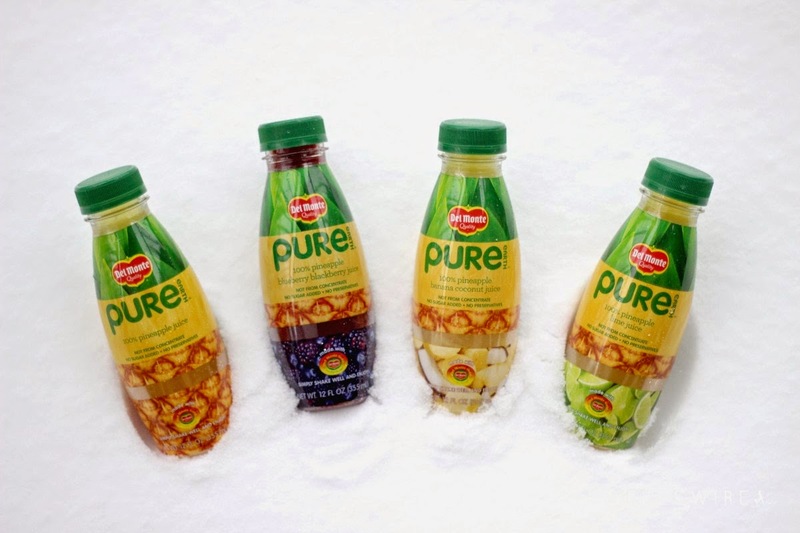 How will you enjoy Pure Earth pineapple juice? This post was sponsored by Del Monte Pure Earth Juice. All opinions expressed are my own. 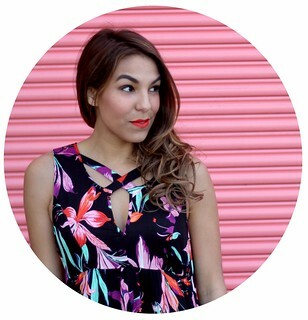 Thank you for supporting those who support Style-Wire.com!